Monster silue, the world was in the darkness. 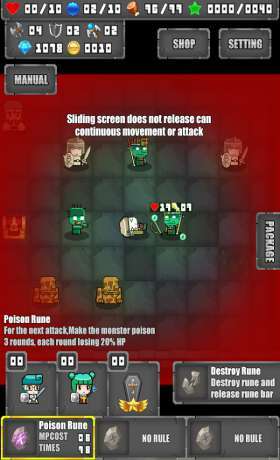 You will step into the endless dungeon, to challenge those evil enemies. rich elements will you introduce a magical dungeon world. Looking for treasure, collect all kinds of medicines and food. Summon team mate and search for equipment to strengthen your team. 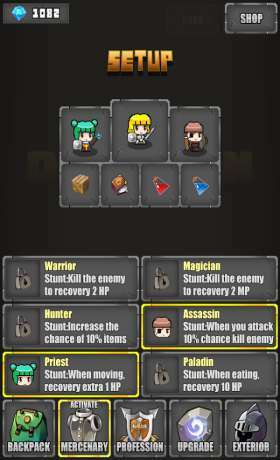 occupation role Rune against the monster attacks. 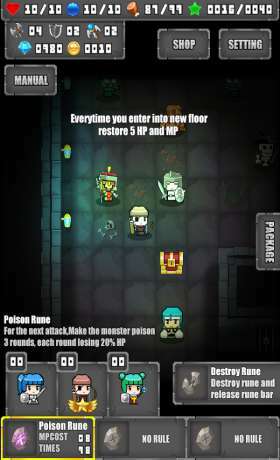 this is not enough, you must unlock the secrets hidden in the dungeon to get victory!